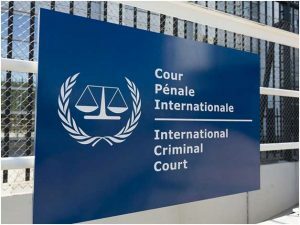 UNITED NATIONS, Apr 8 2019 – As it paves a destructive path against international institutions and multilateralism, the Trump administration is slowly but steadily undermining the United Nations and its affiliated agencies. 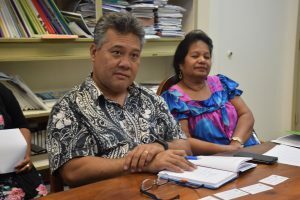 POHNPEI , Apr 8 2019 – During his 22-year career in the health sector, Marcus Samo has seen the Federated States of Micronesia (FSM) suffer from an increased burden of disease while at the same time the resources to address them have either remained the same or decreased. Samo is the Assistant Secretary in the country’s Department of Health Services, a post he has held for a decade. He has seen the rapid growth of both noncommunicable diseases (diabetes and heart ailments) and communicable diseases (tuberculosis and leprosy). Micronesia, the Marshall Islands and Kiribati have among the highest rates of leprosy, also known as Hansen’s disease, in the world. But according to the World Health Organisation (WHO), Micronesia has the highest prevalence of Hansen’s disease in the Pacific. And Samo considers the disease his country’s biggest health concern. “We don’t seem to be reducing leprosy the way we should, so it is a big concern for us. We appreciate the way we are getting support, such as drugs,” Samo tells IPS. Novartis, through the WHO, currently provides multidrug therapy or MDT free across the globe. And this March, Samo met with a team from the Sasakawa Health Foundation/Nippon Foundation, led by the foundation’s CEO Takahiro Nanri. 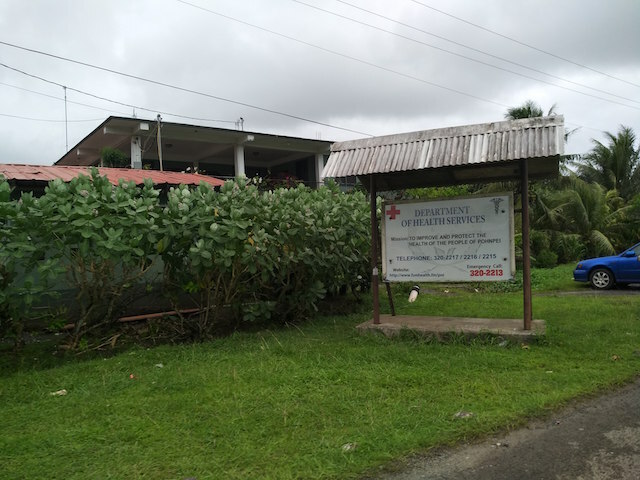 The team was in Pohnpei, the Micronesian capital, to understand the reasons for the high prevalence of Hansen’s disease in the country and to assess the national leprosy programme. The foundation’s team included Dr. Arturo Cunanan, a world expert on leprosy, who currently heads up the Culion Sanitarium and General Hospital in the Philippines. In addition to philanthropic assistance, Micronesia, like the Marshall Islands, is dependent on financial assistance from the United States. This is provided under the Compact of Free Association Agreement, which, according to the U.S. Department of the Interior means “the U.S. provides financial assistance, defends the FSM’s territorial integrity, and provides uninhibited travel for FSM citizens to the U.S.” For the 2019 financial year, 65 million dollars in Compact Funding was allocated to the atoll nation. Samo admits that ensuring healthcare to the approximate 105,000 people, who are scattered on 65 of the nation’s 607 islands, is a balancing act. Oftentimes his staff use the tuberculosis (TB) budget to provide care for Hansen’s disease patients. Also, with just one newspaper and one radio station in the country, his department has few tools of mass communication and depends heavily on social media to raise public awareness about leprosy. Inter Press Service (IPS): Other than the supply of drugs, in what other areas does FSM need the support of the international community? Marcus Samo (MS): Beside drugs, one area where we need support is definitely transportation. To get to the islands, to give drugs to the patients is very difficult for us. So, transportation is one [need] and training is another. IPS: What kind of training do you need? MS: Training for physicians and clinicians on how to administer the drugs, how to deal with the complications of leprosy and extreme cases. Recently, one of our staff [received] some training in India and that is very useful. IPS: Have you ever thought of building a treatment facility for those who might have serious cases of advanced leprosy? 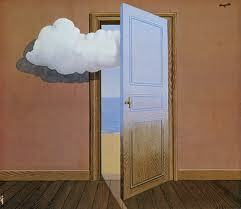 MS: We haven’t really thought of it, but I think that is certainly something we will consider down the line. I am not sure if we have such extreme cases here, but only time will tell if we must do some serious thinking about it. IPS: Is leprosy is a priority? Do you allocate enough fund for fighting the disease? MS: As you know, Micronesia gets most of its resources from the US government through the Compact Fund. Most of our budget allocations come from there. But, just recently, our department has also started receiving some additional money which is raised by our own national government locally through revenue collections and some other smaller funds that we get from other governments. We call it the Legal Fund. We are distributing some of this money to our state health departments to provide care for all the diseases which are endemic here such as diabetes, TB and leprosy. That’s why I say leprosy is a priority for us. IPS: So, for the annual budget of your department, the national government gives you money both from the Compact Fund and from various other funds? IPS: But your National Leprosy Programme (NLP) still doesn’t have any fund of its own and depends on TB programme’s budget. Is it correct? MS: We are aware of it. But TB and Leprosy are now combined as a single, integrated service. Sometimes they do internal adjustments. But, as I said, we are looking forward to more external financial support. If we can get it, we can provide funding separately to the NLP. IPS: What is the amount you allocate to states? Is this enough? MS: I can’t give you a number yet, but it is not adequate. But, compared to what we had five years ago, it has increased a little and we just need to maintain it. Of course we are also working with our funders like [United States] on this. IPS: How important is the role of media in eliminating leprosy and how do you collaborate with the media? MS: The role of the media is very important especially in removing the stigma that is attached to leprosy. We don’t have a television channel here. We have a radio station and a newspaper who decide on their own content. We may consider [teaming] up with them to produce some content focused on leprosy like a panel discussion or a special interview with a visiting expert. But currently we are using media that we produce such as posters, brochures and leaflets. IPS: Have you ever met a leprosy patient yourself? MS: Only when I was a kid. Since then, I have not. UNITED NATIONS, Apr 8 2019 – In the first month of Bangladesh joining the Security Council in January 2000, President Nelson Mandela was in New York to report to the Council in his capacity as the UN-mandated facilitator of the Burundi Peace Process. In an informal setting, he shared with us that his efforts to include women in the peace table were not working as participating men stonewalled. Eager to hear what women want to share, he would invite them to have tea with him in the evenings after the formal meetings were over. At next morning’s formal meeting, Madiba would present some ideas for discussion and men around the table started praising him for those forward-looking ideas. He alerted them by saying that those were not “my ideas”, rather those were from the women whom the men are not allowing to join at the peace table. The key message here is that women add value and bring in positive perspectives to building peace keeping in mind the best interests of their society. Women -– equal half of humanity — bring a new breadth, quality and balance of vision to our common effort to move away from the cult of war towards the culture of peace. Women’s equality makes our planet safe and secure. The reports presented to the 63rd session of the Commission on the Status of Women (CSW) last month underlined that, unfortunately, overall progress towards gender equality had been unacceptably slow, with stagnation and even regression in some areas. Women’s rights are under threat from a “backlash” of conservatism and fundamentalism around the world. UN Secretary-General Antonio Guterres lamented that everywhere, we still have a male-dominated culture. My work has taken me to the farthest corners of the world and I have seen time and again the centrality of women’s equality in our lives. This realization has now become more pertinent in the midst of the ever-increasing militarism and militarization that is destroying both our planet and our people. The UN Charter has entrusted the Security Council with the responsibility of maintaining international peace and security. In that context, for 55 years of its existence, the Security Council found women as only helpless victims of wars and conflicts without recognizing their positive role and contribution in that process. On 8 March 2000, as the President of the Security Council, I could mobilize it to recognize in a statement that “peace is inextricably linked with equality between women and men”, and affirmed the value of full and equal participation of women at all decision-making levels. That is when the seed for Resolution 1325 was sown. The resolution was finally adopted unanimously on 31 October of the same year, after tough negotiations for eight months. It is a reality that politics, more so security, is a man’s world. Empowered women bring important and different skills and perspectives to the policy making table in comparison to their male counterparts. The slogan of the Global Campaign on WPS which we launched in London in June 2014 reiterates “If we are serious about peace, we must take women seriously”. Patriarchy and misogyny are the dual scourges pulling back the humanity away from our aspiration for a better world to live in freedom, equality and justice. Men and policies and institutions controlled by them have been the main perpetrators of gender inequality which is a real threat to human progress. Feminism is about smart policy which is inclusive, uses all potentials and leaves no one behind. I am proud to be a feminist. All of us need to be. That is how we make our planet a better place to live for all. For the two-year initiative being launched today, all of us should take the vow to profess, advocate and work to ensure feminism as our creed and as our mission. We should always remember that without peace, development is impossible, and without development, peace is not achievable, but without women, neither peace nor development is conceivable. “The full and meaningful leadership, empowerment, and protection of women is essential to resolving deadly conflict and building stable, prosperous, and just post-conflict societies. We have created a group of leaders that identifies, encourages, and mobilizes the voices of prominent men and women in support of women’s engagement in global processes of peace, reconciliation, and post-conflict reconstruction. “Mobilizing Men as Partners for Women, Peace and Security” is bringing global leaders—including prominent men from the defense, diplomacy, development, and business arenas—more fully into the campaign, along with the courageous women leaders who have long driven this advocacy, including grassroots advocates from war-affected countries. We are partnering with key institutions, including UN agencies, nongovernmental organizations (NGOs), advocacy groups, and academic institutions. Along with our partners, we ally with, listen to, and open doors for women’s groups and individuals calling for gender justice in conflict and post-conflict settings. The initiative started by engaging global figures and their senior advisors from dozens of international institutions, NGOs, and governments at a convening in New York City on March 22, 2018, in the margins of the UN Commission on the Status of Women. The participants agreed that while women-led efforts that created the Women, Peace and Security (WPS) agenda have made considerable progress, men must be part of the solution. Since our first convening, we have drafted a Charter, a statement of principles, and a call to action on engaging women as leaders, planners, and implementers of peace processes and post-conflict recovery efforts. Once signed, the Charter will be publicized and shared with policymakers in governments and international organizations. Signatories will serve as Partners in this agenda, using their connections with other global leaders to make these points directly and to facilitate greater access for women advocates. STOCKHOLM / ROME, Apr 8 2019 – Some memories stay with us forever. From my childhood I remember above all a few extraordinary moments – when I suddenly, after many failed attempts, found that I could swim and the same happened when I could ride a bicycle on my own. Since then, these skills have stayed with me throughout life, becoming part of my existence. However, towering above these instances of bliss is the moment when I realised that I had read an entire novel, one without pictures. One of those books that grown-ups were reading. From that moment the gates of paradise on earth were flung wide open. Friedrich Nietzsche once wrote that without music life would have been a mistake. He was probably right, but for my part I assume that without reading, my life would have been much more difficult, empty and boring. I cannot imagine a life without books. As a teacher my wish has always been to convey to my pupils the happiness and wealth books may bring to you. While writing these lines I am surrounded by books. If I scan the book shelves, the titles printed on the spines are all familiar to me. There are many of them and each contains stories, lives, knowledge, experiences, adventures, meetings. In the eleventh century CE, the poet Somadeva wrote in Kashmir a collection of stories he named Kathasaritsagara. I have only read a few of Kathasaritsagaras stories, though the title intrigues me. The Sanskrit word may apparently be translated as The Ocean Where Streams of Stories Unite. The world of books is truly a Kathasaritsagara. While reading, or just looking at the books surrounding me I feel like a fortunate sea creature allowed to wallow in a wonderful, immense world. Every book tells a story. It contains a world of its own. Sometime during the third century CE the North African Terentianus Maurus wrote four books about “letters, syllables and metrics”. Most of the content of these books are forgotten by now, aside from the quote habent sua fata libelli, “books have their destiny”, suggesting that books obtain their meaning from their readers. Maybe Maurus also indicated that books have a life of their own. That it is not we who find the books, but it is they who find us. In his novel The Name of the Rose, the Italian author Umberto Eco mentioned Maurus´s quote and interpreted it as a way of stating that we share our destiny with the books we have read, that they have become part of our life. Maybe it is true that a book is a unique entity, even quite different from its author. The Irish author James Joyce wrote that as soon as his famous novel Ulysses had been printed and published it began to live a life of its own. He read his own novel and could not understand how it had been written by him, it was as if it had been written by another person. I assume this is an experience he shares with several other writers. During the 1920s and 1930s there appeared in Sweden a specific genre of autobiographies which was labelled as “proletarian tales about coming of age”. They were mainly written by young male and female authors who told about experiences gained from being born in poverty and how they had struggled through various kind of hardship, often related to hard manual labour, until they finally reached a stage where they had been able to master the language to such a degree that they could write their stories. These books are often deeply moving and surprisingly well-written, possibly due to the fact that these proletarian authors put such an effort into expressing themselves as clear and correct as possible. Their struggles combined with serious attempts to master the language had enabled them to respect it, even venerate it. I have later come across tales by authors from quite different cultural spheres of the world, who in their autobiographies describe struggles similar to those of the Swedish proletarian authors. Common to most of them is the fact that sometime during their childhood or youth they learned to read and write and how some mentor, a kind and understanding teacher, or a neighbour or work mate, was able to open the gates to the Paradise of Literature. Thus these authors had finally been enabled to take a dip into the Ocean of Tales, Kathasaritsagara. From that moment on, their lives changed for the better. They did no longer feel alone and gained hopes for a better future. Several of the Swedish proletarians wrote that it was “ambulatory libraries” administered by rural teachers, or members of so called CSOs, Civil Society Organisations, that made it possible for them to discover The World of Literature. When I occasionally have found myself abroad in poor, rural neighbourhoods and encountered bright youngsters, I have often thought how their lives could have changed for the better if they had had the same opportunities as the Swedish proletarian authors, who encountered an Ocean of Tales contained in the wooden crates with books that in the early decades of the twentieth century by idealists were brought to every corner of Sweden. You might say that this miracle could also be brought about through the access to the communication marvels provided by computers, though sitting here surrounded by my books I doubt it. I wonder if ours would be a better world if present leaders like Trump had regularly taken a dip into The Ocean of Tales, Kathasaritsagara. POHNPEI, Apr 8 2019 – It’s a good day for Dexter, a 25-year-old fisherman from Pohnpei in the Federated States of Micronesia. He’s just been told that he is cured of leprosy. “I have been sitting at home for nearly a year now,” Dexter, who doesn’t want to reveal his last name, tells IPS. “But now I can finally return to my job,” he says with a smile. However, not every patient in Pohnpei State may be as fortunate as Dexter. The region is grappling with a shortage of leprosy drugs. Multidrug therapy (MDT) is provided for free by Novartis, through the World Health Organisation (WHO) and distributed across the globe. But Pohnpei has to send through an application for new stock to the national government. “We have not received any fresh supply of drugs this year, so we are giving what we have in our stock although they are now expired,” reveals Dr. Elizabeth Keller. She is the acting chief of Pohnpei State’s Department of Health Services and also heads the region’s leprosy programme. Pohnpei State has the largest number of leprosy cases in the country—nearly 100 new cases are reported here every year. And Micronesia still remains one of three Pacific island nations, along with the Marshall Islands and Kiribati, that is yet to eliminate leprosy or Hansen’s disease. In fact, according to the WHO, Micronesia has the highest prevalence of Hansen’s disease in the entire Pacific. But the news of the shortage in Pohnpei State appears to take many by surprise, including Mayleen Ekiek, who heads the country’s National Leprosy Programme (NLP). 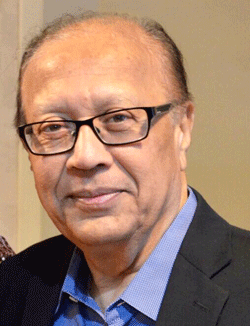 “I am surprised to hear this. This should not happen. I don’t know why they have not received the fresh stock because the supply is made once the requisition is submitted to the government,” she comments. But it is easy to see how Ekiek could be unaware of the situation. Providing healthcare to the country’s estimated 105,000 people, who are scattered over 65 of the country’s 607 islands, is complicated. While the Micronesia’s four states receive their funding directly from the national government, they work independently and usually only communicate directly with the federal government. “The Department of Health Services in each state provides medical and public health services through a hospital, community health centres and dispensaries. Each state system is autonomous,” states the WHO. As state health departments are not mandated to report to the NLP, Ekiek is sometimes caught unaware by developments, such as the current drug shortage. However, Keller says that her department has already asked for the fresh supply and hopes it would come soon. Meanwhile, she assures that the medicine will not cause any adverse effect on the patients’ health. “These may not work as effectively as fresh drugs, but they will not harm,” she says. And while there is also a mechanism to bring the various states in Micronesia together to collaborate their leprosy services, Ekiek says that without funding it would be hard to do. “I also lead the national programme on [tuberculosis] TB and I often piggyback on the TB budget to visit our leprosy programmes in the state. But I cannot organise a meeting of the state leprosy workers because it would require about 40,000 dollars-which is too big of an amount to be extracted from another programme budget,” Ekiek explains. Budgetary allocations aside, Micronesia also has the challenge of a lack of credible data. Clear, defined parameters of data can help paint an accurate picture of leprosy in the country, and also provide information about the exact number of new cases. In addition, a database of all the people affected by leprosy, and those who are undergoing treatment, can be created to make the information easily accessible. Because without credible data, there is currently no uniformity in the statistics provided by the national and the state programmes. “We received 89 new cases in 2018. This year, between January and March, we have seen 35 news cases,” Keller informs. But according to Ekiek, there were probably just 75 new cases in 2018. “Honestly, we cannot be sure because we don’t have a clear database yet. We don’t have a trained data analyst or staff who is skilled to compile and visualise statistics,” she admits. While the confusion among the different government agencies continues, some experts feel that it is because of a lack of coordination and that a review of the national leprosy programme is overdue. “The national leprosy programme has not been reviewed for a long time, so we don’t know what is working and what is not. Maybe they need a complete overhaul of the system or maybe they just need some training in data, records and office management,” says Dr. Arturo Cunanan, a world leprosy expert and chief of Cullion Sanitarium and General Hospital in Philippines. 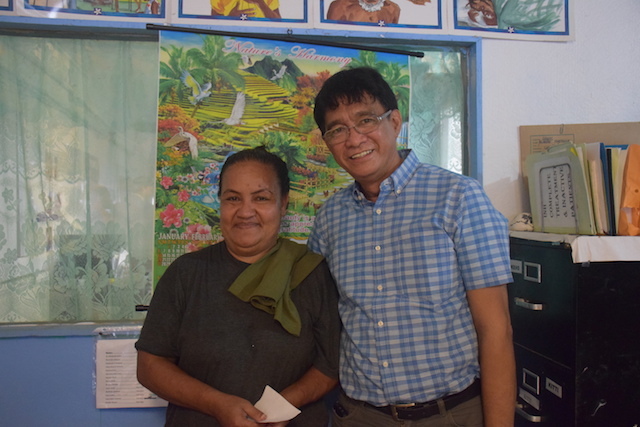 Cunanan, who is also recipient of the Gandhi Peace Prize for his work with leprosy, was visiting Micronesia with the Sasakawa Health Foundation/Nippon Foundation to review the current progress in eliminating leprosy. 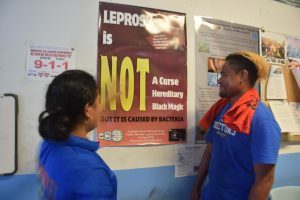 “But without that review of the current programme, a true need assessment is not practically possible,” Cunanan, who has trained several health department staff across Micronesia region, including Ekiek, says.